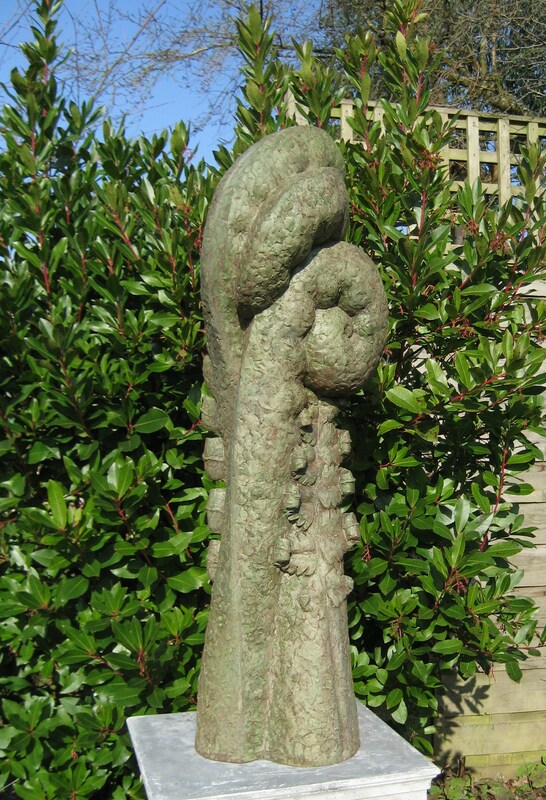 I was delighted to be approached by Helen asking to bring her wonderful sculptures to our garden for exhibition this summer.Come and find her pieces in their particular secret places in the garden when you can ! From her organic forms that so echo our seed heads and plant structures to her delightful Compostella and Compostello they are all pieces that should delight you. “I was born in Southern Ireland and initially trained in Drama in London. I am the proud mother of three children and two wonderful grandsons. In 1994, when I was 46, I became unwell. It was in the hospital Art Therapy Room that I was given a lump of clay and I passionately believe that given the space and time to create allowed the healing process to begin. I continued to work with my hands, and to this day I am grateful for my rich and nourishing life. I attended Adult Education classes in Sculpture and completed a Foundation Arts Course at Northbrook College. I work with a variety of materials, my favourite is pulped newspaper! With words, it is recycled, appears fragile , but it is in fact one of the strongest and most enduring materials. This complements both the strength and the vulnerability expressed in the form. 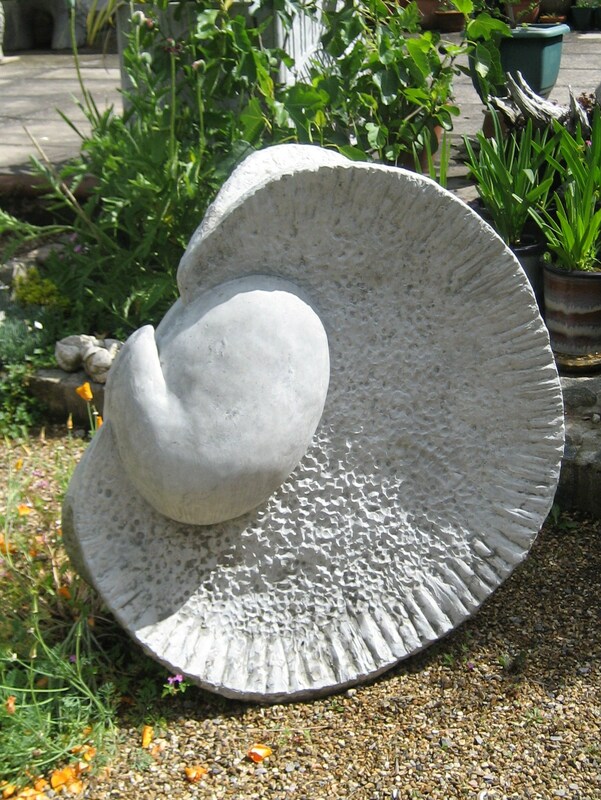 David Price is a very welcome return exhibitor to the garden with his amazing sculptures .You will come across them all at unexpected places around the garden and set against our mass plantings they have an other worldly serenity and calm . “I was trained as an illustrator, but now I prefer working in clay. I like it’s tactile, earthy nature. I like using the elements of earth, water, fire and air. And I enjoy the process of moulding clay, finding it a grounding and therapeutic experience. I feel that I can relate to people more through my work if it is figurative. My work is about being seen, putting myself on show. I am striving towards truth and honesty. I am not trying to create an idealised image. Each piece is individual. Each one is saying ‘This is it. This is who I am, with all the cracks, blemishes and wear and tear of life’. I like work that shows the ghosts and traces of what made the object. At the same time the work attempts to show the ghosts, traces and scars of what creates the individual person. The work translates into art in the way that life events register in the body. The figures may be seen as damaged but they keep on going. They may or may not be limited by the lack of arms, say, so they spread their wings. Through trauma or tragedy you learn something else… perhaps how to fly. We are delighted to be joined by another young garden sculptor this season – Greg Pearson . 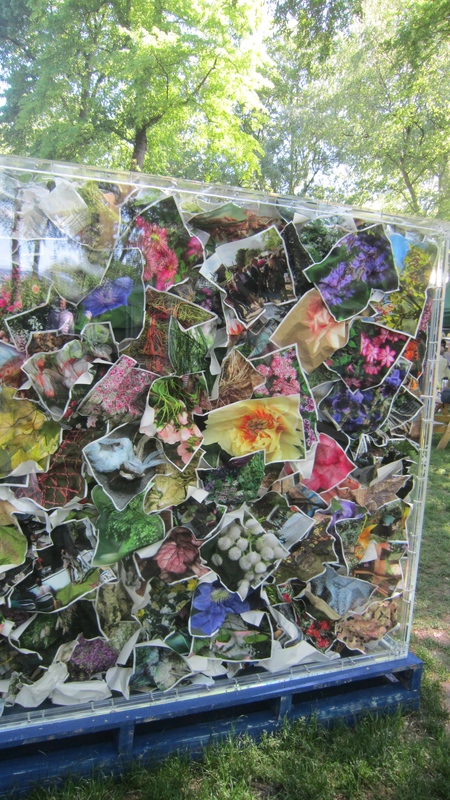 We discovered and met Greg at the Firle garden show and loved the twists , turns and organic forms of his work . As well as his range of quirky and winsome sculptures for any space, Greg will be bringing a large aspirational piece which will be taking centre stage in our newly revamped border. We cannot wait to see this ! 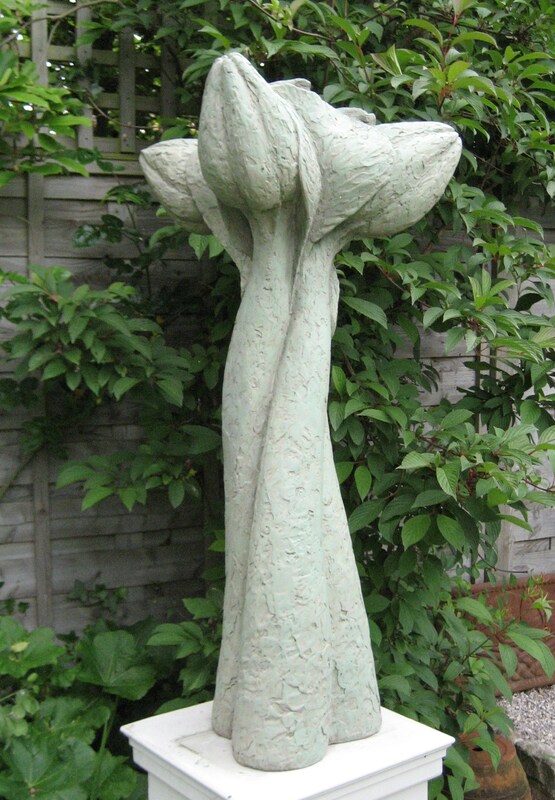 “I am a young sculptor specialising in metal garden features and structures. Brought up in a heavily influential design and art family setting, I have grown a passion for abstract shapes and natural form. I now love creating unique garden and outdoor features working almost exclusively in metal – mostly steel. 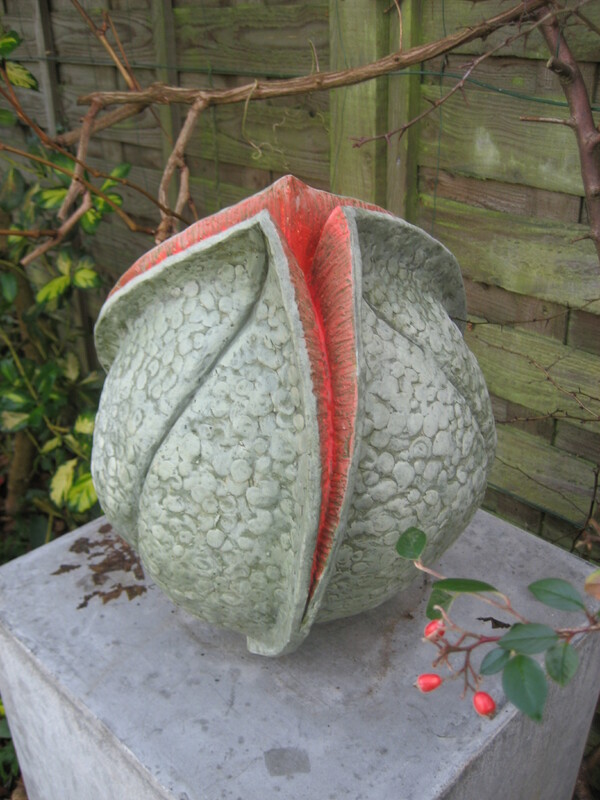 I seek inspiration from all types of gardens and settings, and favour the theme of using single lengths of material to create sculptures with unique and provoking shapes and forms, not purposely based on any existing flower or plant – instead creating new ones, to fill the imaginary void in ones garden flowerbed! All of my sculptures are completely handmade, hand bent free form by eye. This lets all pieces be unique and have a natural organic feel. As I walked past my five hives of bees this evening, not paying much attention, I heard a deep buzzing noise coming from one of them. I bent my ear close to the hive entrance(there being no flying on this damp dusk) and the buzzing increased as if they were being disturbed. I glanced up and realised that I had failed to observe a medium sized swarm of about 5000 bees, clustered on the outside of the hive 6 inches from my face. Yikes! I thought, along with some other less Enid Blyton like curses!! My challenge, I decided, was to find a way of collecting, hiving and feeding the swarm, within the twenty minutes of daylight left to me. I had to think quick, and this is what I did. Firstly, interrupt Pauline making Rhubarb cake in the kitchen to boil the kettle and make some sugar syrup. Then search for a suitable way of scanning the bees off the flat wooden exterior of the hive. My eyes alighted on a box of 12 Schweppes tonic waters. The empty cardboard box, with it’s end cut off made a perfect scoop for bee collection. So I hoped. I trotted off to the bees in the field, got my kit on, and slowly slid the tonic box, whilst holding it tight, flat against the hive, until all the bees slipped into the box. Amazingly, I collected all but three bees in a matter of seconds. Two minutes later they were in the new hive with a feeder full of syrup and a reduced entrance to discourage other bees from robbing. a swarm in the hive is worth two in the bush ! Its not just size that matters – Space matters in Japan .Finding that luxury of an inch is precious, so making that every inch count in gardening terms is crucial. And so it is with squeezing your green spaces into an urban environment. Looking for a leaf- squeeze it in a brick-thick slither of ground next to your front door.But it has to compete with all the other paraphernalia of life at the same time. Looking for that green gasp of texture – shoehorn it into a pot or container artfully cramped on the threshold.There is rare beauty captured in a second. Collections of pots seems to work as well to build up a range of textures and variations on a theme – very much a theme of -green. And there is of course the very essence of the thing which is all about control and discipline.An ikebana of a paring down to what is essential and what can be taken away until all you can see is the chosen plant or planting. The bare essentials of a garden. I admit I feel like I am in a bit of a strait jacket here in this place.Straining against the constraint .Japan – This place of extreme control.I long for our wide open space of Sussex Prairies. I yearn for that voluptuous exuberance of planting again .. oh for that luxury of space. 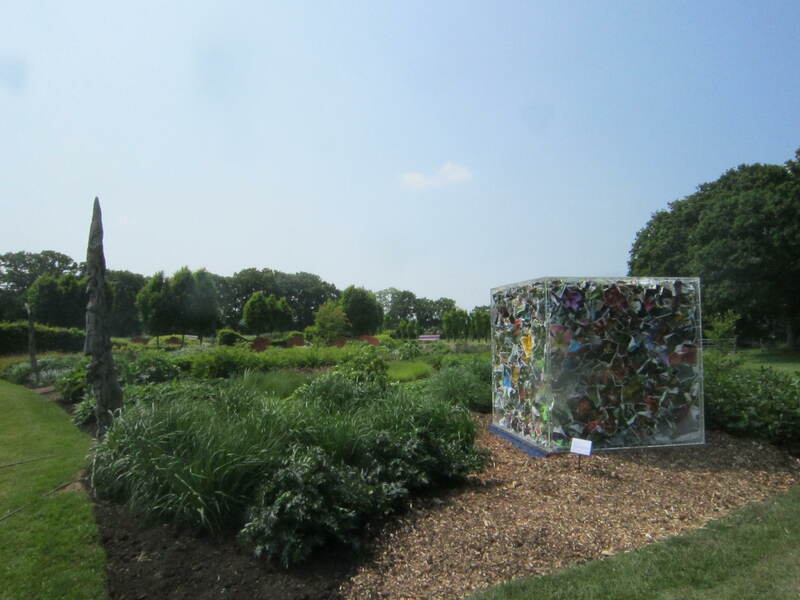 If you missed seeing Anna Ray’s extraordinary and momentous artwork at RHS Chelsea Flower Show you now have another chance to catch it here at Sussex Prairies.The cube has now moved down here to its summer vacation site and we have been Wowed and hope you will too ! 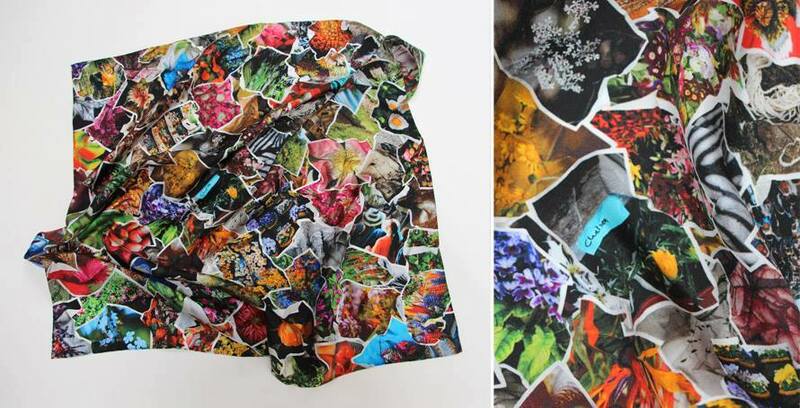 Anna was the Artist in Residence for the Royal Horticultural Society in 2015 and 2016 and during the course of this residency she captured thousands of photographs documenting the people, plants and processes involved in creating the RHS Chelsea Flower Show 2015. The images from this vast collection have been assembled into a momentous artwork. 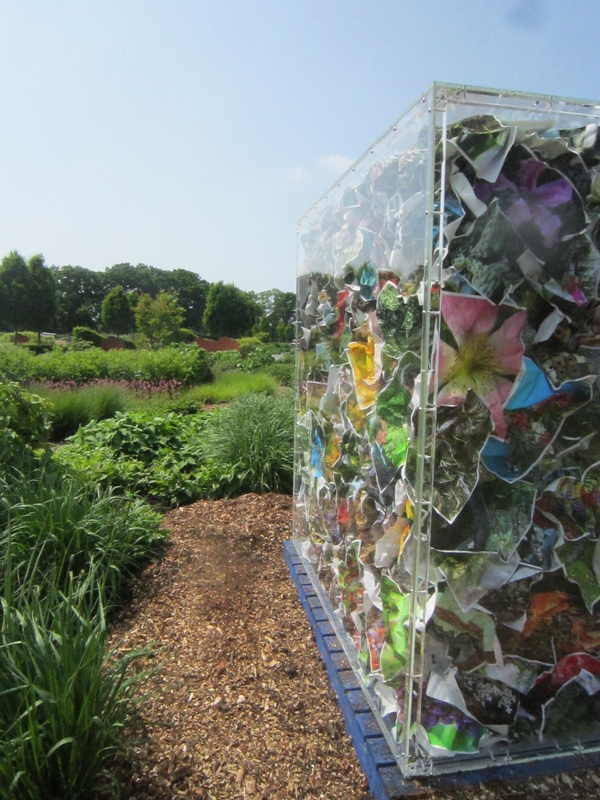 The creation of the piece was supported by:The Royal Horticultural Society,Epson,K2 Associates Ltd, and Chep. Anna Ray studied BA (Hons) and MFA Tapestry at Edinburgh College of Art between1994 and 1999. She became a Lecturer in the department soon after graduation and taughtfor six years before relocating to London in 2006. 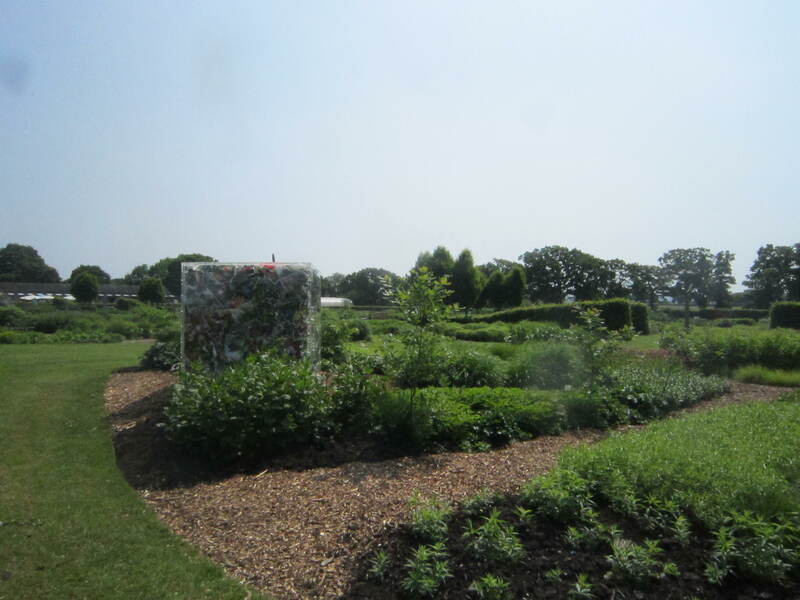 She was artist in residence atWinterbourne Botanic Garden, University of Birmingham in 2004 and at FrancesBardsley School, Romford, 2006-2007. 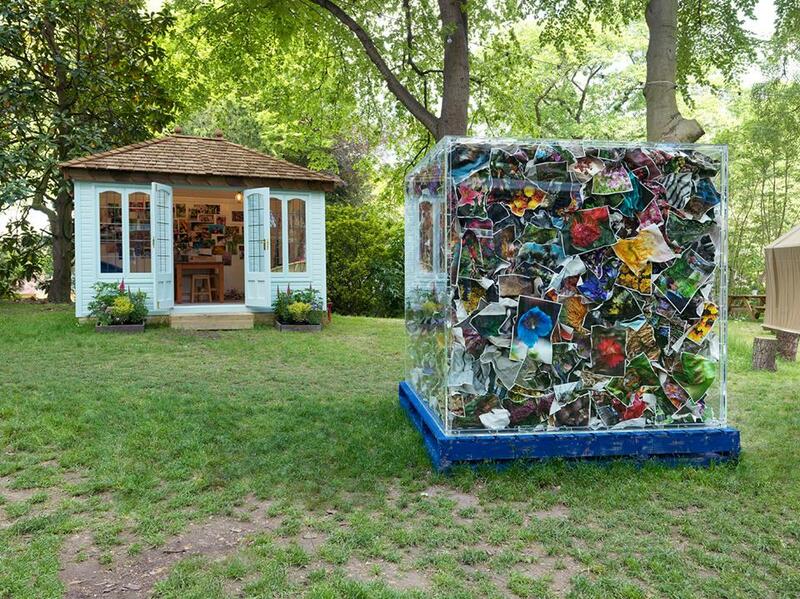 From 2015-2016 Ray was artist in residence at the RHS Chelsea Flower Show. Through her teaching, she has raised awareness of newtechnologies and contemporary art and design practice with a diverse range of audiences through discussion and making. She has run workshops for major galleries, notably, TheNational Galleries of Scotland and the Fruitmarket Gallery, Edinburgh. She has led workshops for ‘The British Art Show’, ‘The Big Draw’ and devised ambitious community outreach projects, receiving an Innovative Arts Education Award in 2001. Ray has been granted major awards for her work; Scottish Arts Council Crafts CreativeDevelopment Award (2004), Scottish Arts Council Assistance Grant to an Individual Artist (2003), The Hope Scott Trust Award (2001), Edinburgh Visual Arts and CraftsAward (2006). Her work has been exhibited nationally and internationally over the last twenty years in both applied art and fine art contexts. Recent exhibitions include ‘Collect’ Saatchi Gallery (2012) and the touring exhibition ‘Craft Generation’ St. Andrews Museum(2014-2015). She has been commissioned to make work for public collections: Paintings in Hospitals and Marie Curie Cancer Care. In 2014 the international law firm Wragge Lawrence Graham & Co acquired and commissioned a series of major works for their new premises in Birmingham. We are delighted to be joined this season by Jeanne Argent and her sculptures. Come and see how their merge so beautifully into our landscape. 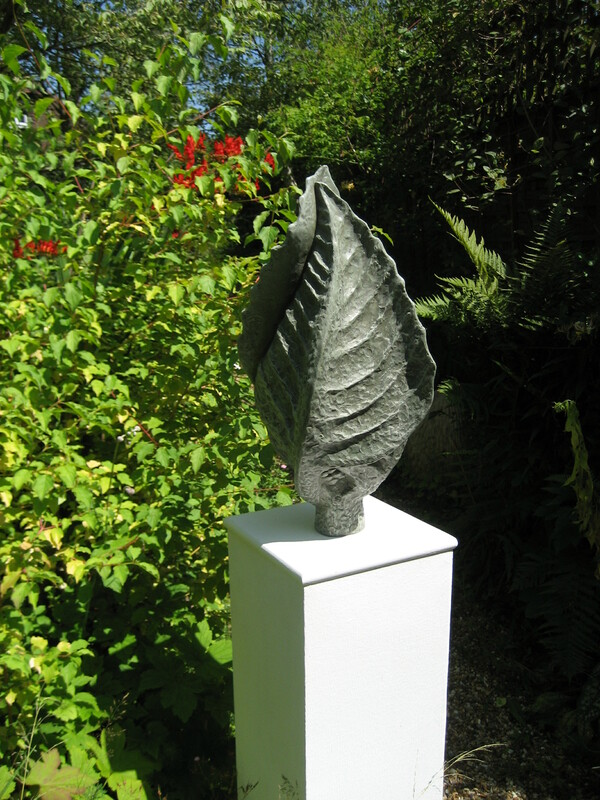 My work is informed and inspired by the natural world and in particular the plants and trees in my garden. The Downs and the coastline of Sussex are also a source of inspiration and I observe and combine these subjects to produce shapes and patterns which I explore to make sculpture, prints, textile and mixed media works. The sculptures are modelled, moulded and cast by me in low number limited editions and are made of Cement for outdoor display. I also make smaller indoor pieces, some of which are fired and glazed ceramics.